We are beyond excited for our Bengal Block Party at Barnegat High School on Friday May 15th! The event will take place from 4-10pm. This event has been in the making for a couple of years and we want to thank Teacher Ms. Schuler from Barnegat High School and her Interact Team for making it a reality. 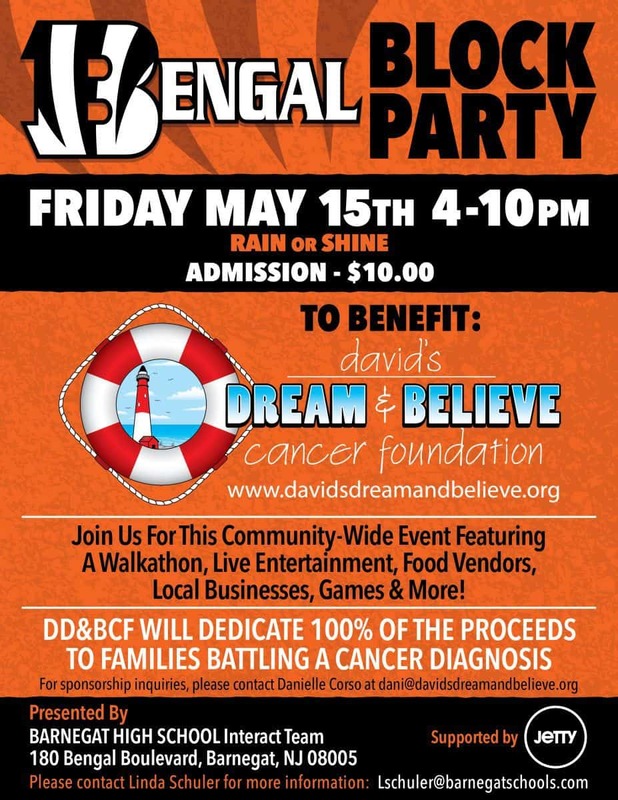 Please join David’s Dream & Believe Cancer Foundation for this Community-Wide event, supported by our friends at Jetty, featuring: Live Music (5 Bands), DJ, Light Show, Food, Vendors, Bouncy House, Games, Activities and a Walkathon! We are thrilled to have students from Stockton University Service-Learning Program involved in our Bengal Block Party. The Stockton University Service-Learning Program is dedicated to Service with a Purpose! We want to thank our friends at Jetty for supporting the Bengal Block Party! There is a $10.00 admission donation to enter the Bengal Block Party. Kids 10 and under are free! We are very fortunate and blessed to have forged tremendous partnerships in our community. Our local businesses have rallied around David’s Dream & Believe Cancer Foundation and our families affected by a cancer diagnosis. Scojo’s Restaurant in Surf City, NJ are one of our main sponsors since 2011 and they continue that tradition year after year. 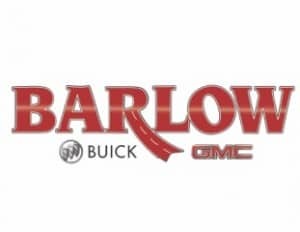 Scott, Joe, Dawn and the Incredible Staff have sponsored various events including: Frank V. Panzone Jr. Memorial Cruisin for a Cure, Crabbin for a Cure and participated in our first ever Dine to Donate last year! Scojo’s Restaurant recently returned from a brief 2 week hiatus, where they underwent some inside renovations to the restaurant, to unveil a new schedule serving breakfast and lunch only. We are hoping Scott & Joe will find a little time to relax with the new schedule and hope that all of our friends support Scojo’s Restaurant throughout the year!!! We are excited to announce Ocean Acupuncture & Herbal Medicine Wellness Center in Manahawkin, NJ have agreed to be the Main Event Sponsor for our Survival of the Mills event on October 12, 2014. Owners Kim & John Manzella and their staff have been ardent supporters of David’s Dream & Believe Cancer Foundation since the inception of the Foundation. Kim Manzella recently accepted an invitation to join the Board of Directors for David’s Dream & Believe. All of us at the Foundation and our families battling a cancer diagnosis will be well served by Kim’s compassion, kindness, generosity and loving heart for others! We also want to thank our dear friend & Race Director Ross Reynolds at Trident Multisport for creating this unique, scenic and demanding race. We have been asked numerous times throughout the past 4 years, “Why don’t you have a race event to benefit David’s Dream & Believe?” The simple answer is we were waiting for that special event to come along and the right partnerships. 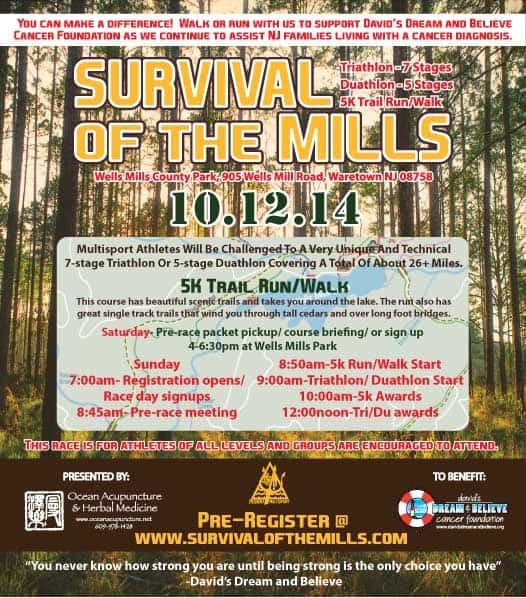 We have found both with our 1st Annual Survival of the Mills and partnerships with Trident Multisport & Ocean Acupuncture! One of Kim Manzella’s first acts after being appointed to the Board of Directors was to create a youth sub-group of David’s Dream & Believe called “Generation Dream.” Generation Dream is a youth group committed to raising awareness & creating fundraising projects for David’s Dream & Believe and generating a ripple effect of kindness, hope and love for New Jersey families battling a cancer diagnosis. Our Generation Dream Team will be heavily involved in this event as well. You will see some of them participating in the 5K race while others will be manning water stations along the race route. 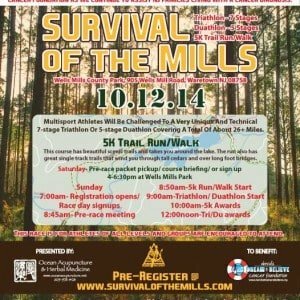 Please visit Survival of the Mills for more information about the race and to register for this unique first time event! Click on below attachment for more information regarding Sponsorship & Food/Drink opportunities. Please contact David Caldarella at david@davidsdreamandbelieve.org or Kim Manzella at kim@davidsdreamandbelieve.org to reserve your sponsorship! 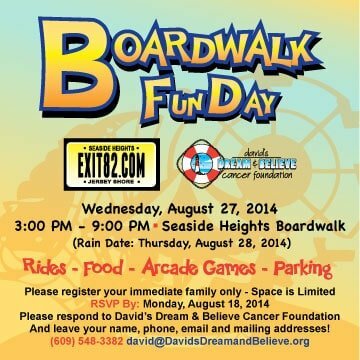 We want to thank American Cancer Society of NY/NJ for entrusting Boardwalk Fun Day with David’s Dream & Believe Cancer Foundation. We readily accepted the invitation to take over this event for families battling a cancer diagnosis. We want to thank the Seaside Heights Business Improvement District for making the event possible & Seaside Heights Boardwalk businesses that participated in the event. We were so excited going into this event and our excitement was only confirmed when the first few families showed up to check-in. The kids had a sparkle in their eyes and the parents repeatedly told us that their families looked forward to this event every single year. For some, they attended Boardwalk Fun Day for almost 10 years and others it was their first time but the joy was present in each and every family. David’s Dream & Believe Cancer Foundation and Generation Dream are already looking forward to next year’s Boardwalk Fun Day! It’s obvious that Mother Nature and David’s Dream & Believe Cancer Foundation (DD&BCF) need to have a sit-down to iron out our differences. 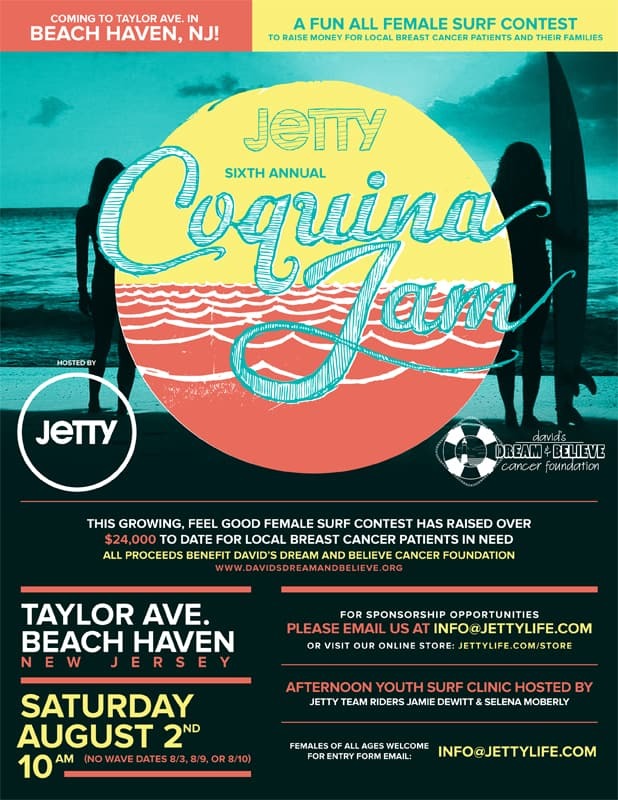 However the rain, wind, flooding and rough ocean didn’t stop the positive vibes emanating from the 6th Annual Jetty Coquina Jam yesterday! We had an amazing turnout and cannot thank everybody enough for their support! A few special thanks need to be handed out and it has to start with Chief Executive Officer from Jetty Jeremy DeFilippis. Jeremy has been linked to DD&BCF from day one and Jeremy served on the Board of Directors for 3+ years. His tireless efforts on the Coquina Jam are geared towards not only running a surf contest on LBI that spotlights incredibly talented female surfers and local businesses but also raises money for a Foundation near and dear to his heart that directs the donations back to local breast cancer patients in need. 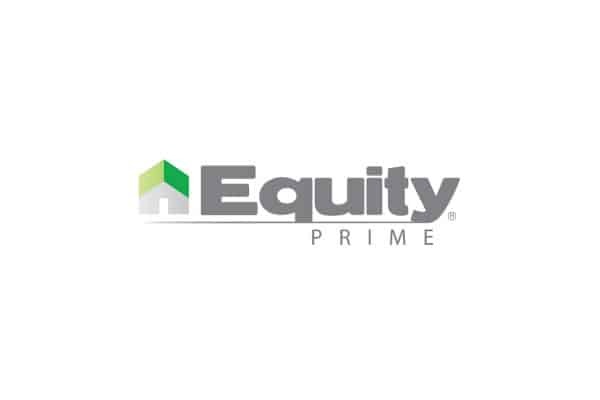 We thank Jeremy and the entire Jetty ownership team for being committed to our partnership in the Coquina Jam. We look forward to many years working together for the benefit of our local breast cancer patients! Dani Corso, Mike Eiche and the Jetty Interns deserve special thanks as well. Dani handled doubly duty for managing tasks including social media, email blasts, marketing, sponsors and various other aspects for this event for both Jetty and DD&BCF. Her commitment and dedication to both organizations are a credit to her unfailing Pay it Forward Spirit! Many of you may not know the name Mike Eiche from Jetty but you should – Eiche is the guy always behind the scenes getting the job done. Whether its printing hurricane sandy relief shirts for 16 hours a day or setting up/breaking down Coquina Jam – Eiche will always be there getting the job done! Thanks to the Jetty Interns for braving the elements and supporting the cause. Thank you to Super Volunteer Matt Mancini for braving the elements from start to finish! Thanks to Jon Coen for handling the mic duties all day long in very difficult conditions. I know we all look forward to hearing Jon narrate the Coquina Jam Event each year! Thank you to our Judges and support staff that manages the event for us! A special thanks to Randy Budd & Bill Machotka! We want to thank Mark Keeler from MK Productions for giving us sound all day. Thanks to our amazing Sponsors and Beach Vendors! We have to mention those beach vendors that braved the weather yesterday: Liquid Bliss Yoga/Eden Eco, Farias Surf & Sport, Rodeo Bird, Living on the Veg, El Swell, Black Whale, Naked Juice and Red Bull! Thank you to the Amazing and Incredibly Talented Female Surfers that came from as far as Costa Rica and as close as our event home in Beach Haven, NJ to participate in our 6th Annual Jetty Coquina Jam. These women hold a special place in our hearts because they represent the beautiful fighting spirit of our female patients battling a breast cancer diagnosis! A special thanks to our Generation Dream Team that manned the DD&BCF tent today selling pretzels, water and Generation Dream shirts! Thanks to our director Kim Manzella for managing the tent for us today with Generation Dream. Thank you to Brie Fagan for bringing some of her beautiful handmade jewelry and flower crowns from her company The Wandering Gypsea to sell under our tent! Last but certainly not least, A Very Special Thanks to our Supporters who continue to amaze us on a daily basis! You battled floods, traffic, rain, and chilly temps – all for the benefit of our local families battling a breast cancer diagnosis. Our patients currently fighting this horrible disease and those we have lost give us our daily inspiration. Our supporters give us the fuel to continue our mission. Thank you to everybody that participated in the 6th Annual Jetty Coquina Jam from all of us at David’s Dream & Believe Cancer Foundation! See you next year! 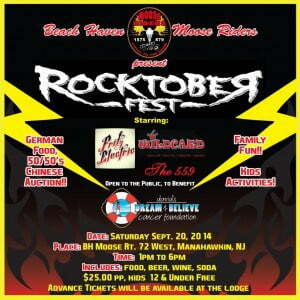 Manahawkin, NJ. 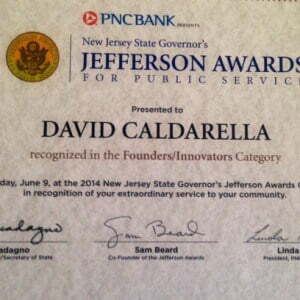 Friday, June 9, 2014 – David Caldarella, founder of David’s Dream & Believe Cancer Foundation, has been honored with a 2014 New Jersey State Governor’s Jefferson Awards in the category of Founders/Innovators. The Founders/Innovators category recognizes individuals whose vision and dedication result in the establishment of a new organization to meet unmet needs or new improved means of meeting those needs. 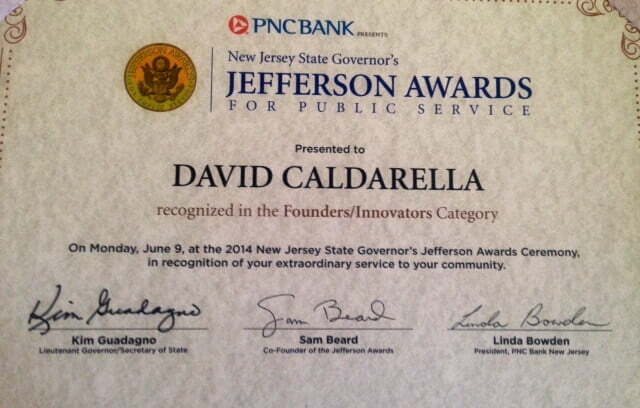 Recipients of the New Jersey State Governor’s Jefferson Awards achieve measurable community impact, perform outstanding acts of public service without the expectation of recognition, serve as inspiration for others, personify dedication to a unique vision, and demonstrate tenacity of heroic proportion. 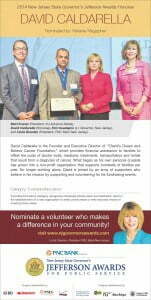 Melanie Magaziner and Corinne Gray Ruff facilitated his nomination for this prestigious award, and David was selected from a pool of over 500 candidates by a panel that included The Community Foundation of New Jersey, The Star Ledger Powering NJ.com and the Governor’s Advisory Council on Volunteerism. David was thrilled to attend the award ceremony on June 9 with his mother and girlfriend. He was touched, humbled and honored by the magnitude and meaning of the award. “Cancer gave me a purpose in life and David’s Dream and Believe Cancer Foundation is my vehicle,” David said. He also referred to the words of Mother Theresa – “I alone cannot change the world but I can cast a stone across the waters to create many ripples.” As the driving force behind the Foundation, which has donated in excess of $250,000 to cancer patients in just four years of existence, David has created ripples that have already changed the lives of many families affected by the disease. 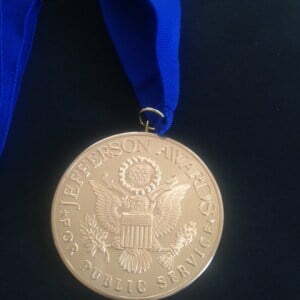 The Jefferson Awards were created in 1972 by Jacqueline Kennedy Onassis, Robert Taft Jr. and Sam Beard. 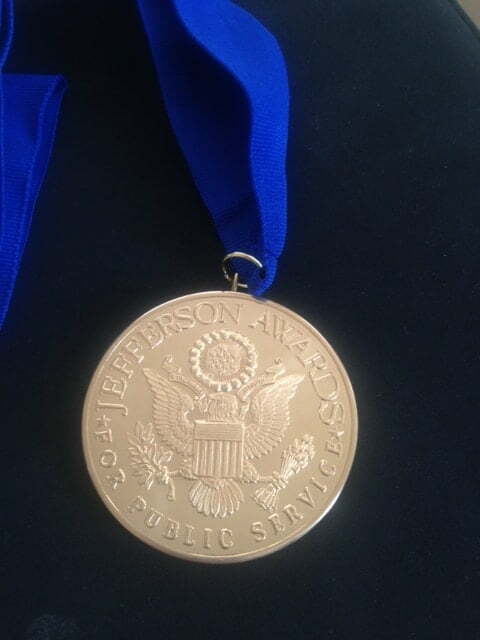 It is America’s Highest Honor for Public Service, a Nobel Peace Prize for Public Service. To add to the enormity of the award ceremony, Sam Beard and New Jersey Lieutenant Governor Kim Guadagno spoke during the ceremony. Past national winners are a “Who’s Who” of American history makers including Justice Sandra Day O’Connor, Secretary of State Colin Powell, Barbara Bush, Senator Ted Kennedy, Oprah Winfrey, Peyton Manning and one of David’s favorite NY Yankees Mariano Rivera. 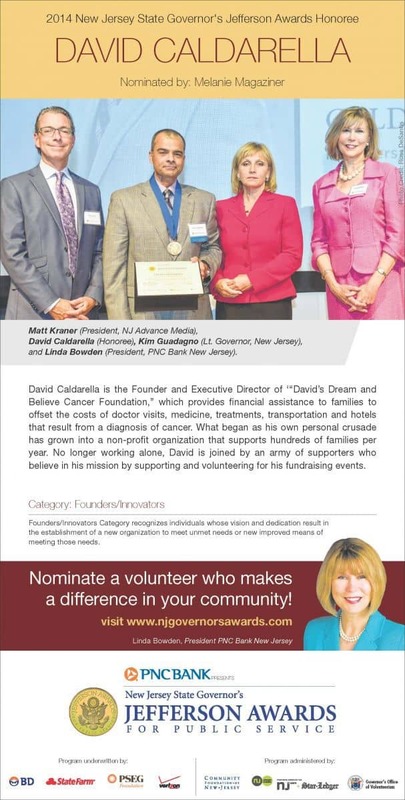 In the June 15th Sunday Edition of the Star Ledger a full-page recognized the 2014 Jefferson Award Honorees with the caption “Please join the State of New Jersey, the White House and the United States Senate in congratulating these outstanding individuals for their remarkable volunteer achievements.” The community applauds David as a champion for cancer patients, and as a Jefferson Award recipient. David’s Dream and Believe Cancer Foundation is a 501(c)(3) nonprofit that raises funds to provide financial assistance and services to families primarily in New Jersey affected by a cancer diagnosis. 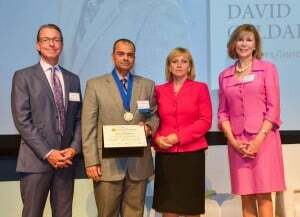 David Caldarella, founder and Stage IV cancer survivor, established David’s Dream and Believe Cancer Foundation in 2010. The Foundation has committed all of its resources to assisting the community in the fight against cancer, and holds many events throughout the year to raise funds to support this cause. In addition to the Jetty Coquina Jam – an all-female surf contest on LBI where 100% of the proceeds are directed back to local breast cancer patients, DDBCF holds the “Frank V Panzone Jr. Memorial Cruisin’ for a Cure” presented by Panzone’s Pizza & Pasta, “Crabbin’ for a Cure” presented by Mud City Crab House and the “Island Gala & Casino Night” presented by the Sea Shell Resort Resort & Beach Club. The foundation also participates in Chowderfest and various other community festivals. To date, the Foundation has donated over $250,000 to families affected by a cancer diagnosis.